With a year-round population of 10,468, and an estimated seasonal population of 30,000, Palm Beach certainly is a town in flux. Eateries on The Island are no exception, and during peak season it can be prudent to stay in to avoid the crowds. Having a fully-fitted kitchen is therefore a necessity. 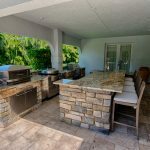 Not only is this the motto of Palm Beach, but it also applies to the quality and workmanship expected in a kitchen design. 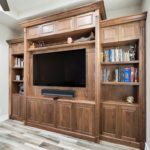 Discerning Palm Beach homeowners pay close attention to the project details, and custom-made cabinetry produces the highest caliber result. 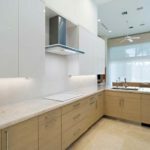 Whether a new build or remodeling, the design of your kitchen needs to be well thought-out. Kitchen spaces are so much more than simply a place to prepare meals. Yes, kitchens need to be functional, but they are so often also home to family gatherings, meaningful conversations, and connections with friends. Selecting quality finishes ensures that your kitchen withstands these demands with ease. For a feel that is as unique as you are, select a custom design for your kitchen cabinetry. Whether you lean more towards a sleek contemporary style, or a cozy traditional feel, there is a kitchen for you. 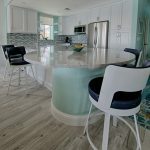 For ingenious kitchen design and superior craftsmanship in Palm Beach, your best move is to contact the Schrapper’s Fine Cabinetry, Inc. team today.